Asylum is NOR Top Pick! After their success of defeating the bears in Sanctuary, Kimberlyn, Logan, Andrew and Elijah have a few peaceful months to enjoy their new found passions, desires and love before danger once again comes calling. The peace ends when Kimberlyn finds a vampire who begs for asylum and Logan has no choice but to allow it. 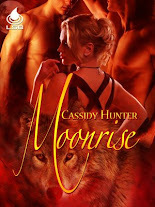 The vampire Malik has his own set of plans and once he has Kimberlyn addicted to him through a bite, the wolves have no choice but to keep him alive, for his death would mean the death of Kimberlyn. Also with the vampire comes the wolves' fifth in their circle of power and a whole other set of problems along the way. 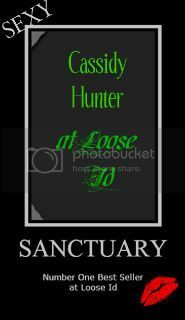 Once again the very talented author Cassidy Hunter takes the reader back to Sanctuary, luring them into the web she spins, leaving them completely enthralled from beginning to end. The author keeps the fast pace moving with marvelous dialogue, plenty of intense action and a steamy sensuality that makes this story extraordinary. Treachery abounds and with the remarkably vivid and sometimes graphic scenes within the pages of the story the reader will be on the edge of their seats trying to anticipate what's next for Kimberlyn, Logan, Andrew, Elijah and the newest addition to their powerful circle Kali. One of the many things that make this intricate and spellbinding book so memorable is the brilliant cast of characters. The characters are filled with a high level of sensuality, fire, honor and passion wrapped around a sense of wildness and raw animalistic desire that is intoxicating and appealing. Readers will feel the powerful love as well as the struggles filled with hope, family, joy and heartbreak the characters must face in order to keep their pack safe and their bond strong. The insecurities that Kimberlyn feels when their fifth arrives in the form of a woman and she is forced to share the love and passion of her men is portrayed perfectly without making her seem like she is really selfish and whiny. The sexual desire and bond between the five characters contains of sizzle, smoldering heat, edgy desire and touching emotional pull that is everything a reader could desire in a story. The ending is purely magical! 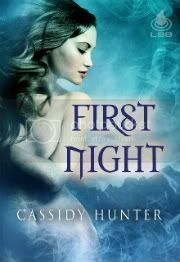 Ms. Hunter creates a wonderfully dangerous, touching, highly enchanting and unforgettable story that readers adore. You won't be able to put this story down! Thank you so much for the fantastic review, Shannon and The Romance Studio!